Is it just me, or is the excitement for the Vikings very... Careful this season? At work, when we talk about the Vikings, almost every conversation ends with "We're waiting for the other shoe to fall" or something similar. I told my dad that it is getting harder and harder to jot get too excited for the Vikings. Part of me wishes they were out of it long ago. Part of me wishes they didn't have this incredible season. It's a small part, don't get me wrong. But if there is a God, and he is toying with the fans of this team, and the citizens of this state, then shame on Him. Shame on Him for playing with our hearts once again. I don't know how to react to this season. It has a weird feeling... Maybe in the back of my mind I know that this team is legit. This team is different. This team actually has a shot at doing something that no Viking team has ever done. If this season ends in anything other than Zimmer holding the Lombardi trophy, then it is a cruel, evil came someone is playing on us. We need to #BringItHome. We #### need this. 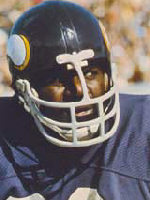 PurpleMustReign wrote: Is it just me, or is the excitement for the Vikings very... Careful this season? At work, when we talk about the Vikings, almost every conversation ends with "We're waiting for the other shoe to fall" or something similar. Can't blame us. And every Vikings team that has regular season success is "different." It's always something (see my avatar). If you don't hope too hard or expect too much you won't be as hurt. Coping/defense mechanism. And one I'm using. Case Keenum a Super Bowl-winning QB? What percentage of us would have thought that wouldn't be a mushroom-induced comment to start the season? This is all just evidence that a large contingent of the Vikings fan base has been influenced by the regional demographic of stoic, Norwegian Lutheranism. I'm not waiting for the other shoe to fall. But I'm also not waiting for the vikings to blow out NO. I'm *hoping* that they win. I don't care if it's a close game, blowout, low scoring or high scoring, but I'm hoping for a W. I'm not getting too excited, but I'm getting appropriately excited. I absolute don't wish they were out of it long ago-- I'm loving the season. If they blow it ugly, meh, typical. Nothing to get ornery about. I'll still watch them next season. If they do it all this year and win at the bank-- I'll have some special memories. Yeah-- I'm stoic and Lutheran, but I'm not Norwegian. No one is playing an evil game on us. I'm not big on "deserve". Expect nothing, enjoy the good. Endure the bad. As a Lutheran, I do have certain expectations after I die, but if I'm wrong about that, I expect I won't even know. At least that belief has given me a lot of hope, joy, and peace in this life that should carry me though to my last breath if my father is any indication. 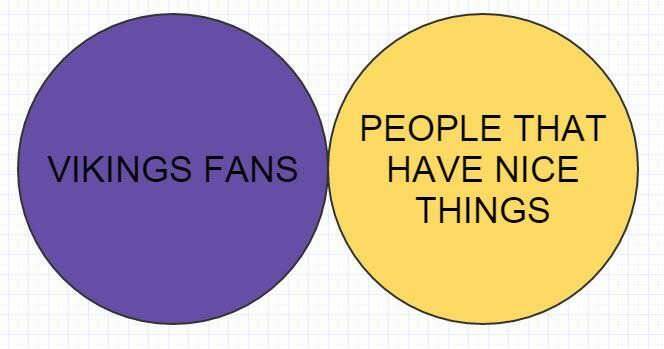 There *is* a bigger picture than the Viking's success. I decided this year that I'm going to throw caution to the win and enjoy the ride. I figure it's been 8 years since the team produced a season with serious Superbowl contention and it might be 8 more before they do it again. Number of combined games missed by Vikings defensive starters in 2017: FOUR!!!! We could have the same team, same schedule and have one of those guys go down and this season is totally different. So I figure why sit and be all conservative? I'm letting it fly, knowing full well that only one team wins it each year. That's fine. I've enjoyed the heck out the ride and am enjoying the heck out of these playoffs. We've take a lot of bad year in purple since I've been a fan. We should make the most of the good ones and that is what I'm doing. Oh and I predict that this will be the statement game the Vikings Defense makes to the national sports media. They are going to dominate the Saints and change the conversation on the Superbowl. I see no reason to not let yourself be excited. I have nothing at stake in the case of a loss. I'll be bummed my team lost. Then the next day I'll go to work and in a few months we'll still be complaining about the reasons it happened. Anyway, the win would definitely mean a lot ... the loss though ... meh, I'm a Vikings fan. 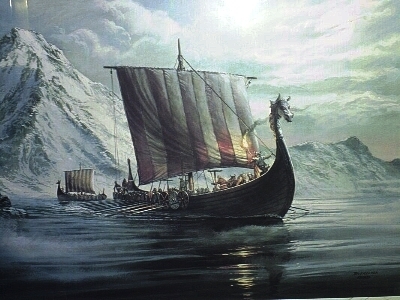 TeamChaplain wrote: This is all just evidence that a large contingent of the Vikings fan base has been influenced by the regional demographic of stoic, Norwegian Lutheranism. Haha, it reminds me of a friend of mine who lives out here in Portland who's from Minnesota too and has a coffee cup that has the state of Minnesota on it with, "Can't complain, Could be worse, and Not too bad" on it. It has something to do with the Vikings past that we all are too familiar with but I think that Minnesota part of it is essential too. For anyone who hasn't seen this it'll give you a chuckle. BTW it is a tactic I'm employing as well. Sorry guys. I'm over the top about this. And I've seen every major disappointment. This team has the "it" factor. It reminds me of the "40 for 60" days of Bud Grant's days. These guys are all-in for each other and for the team's loyal fans. So I'm all-in for this team. Right now, as I sit here, I believe this team is going to win the Super Bowl. I don't just believe they COULD win. I believe they will. That is brilliant. I love how you say you have to beat your own past. That is exactly what it's like.